Our Classic College Headboards are perfect for any dorm room no matter what Twin XL bedding or college decor you choose. Due to the neutral color of our Classic dorm room headboards these unique Twin XL bedding items will blend in with your dorm room while still making a statement! 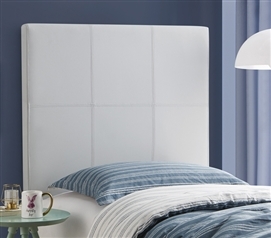 The straightforward look of these Twin XL headboards will make your dorm bed stylish. 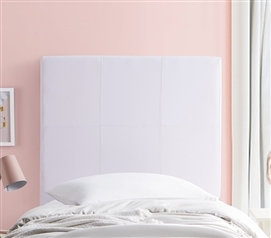 You shouldn't leave home without a college headboard. The perfect dorm headboard provides style and support to your extra long Twin bedding and our one-of-a-kind Classic Twin XL headboards are no exception. In a small dorm room the best college items are those that can serve multiple purposes. The unique classic look and durable construction will give you the best in both college bedding and dorm room decor.